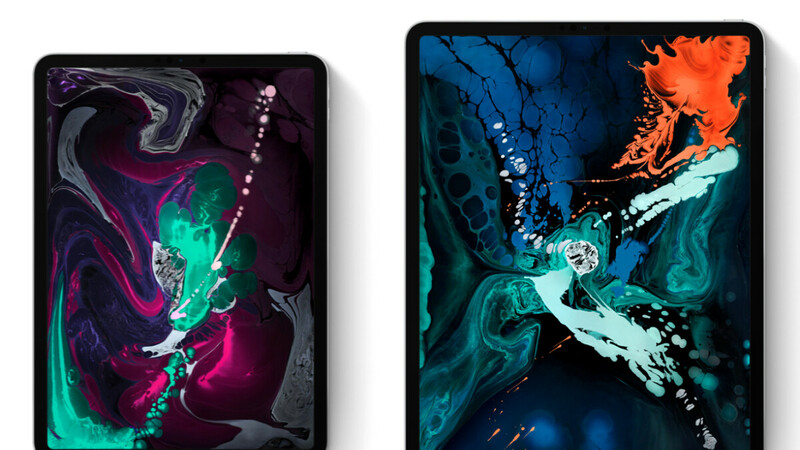 What we mean now is that the new iPad Pro which has a standard-fare USB-C connector (praise the charging gods!) is wrapped together with a more powerful 18W charger, compared to the 12W brick that iPads sported until now. This is probably the same 18W charger that a Chinese testing firm leaked not long ago, and was assumed to come packed with the new 2018 iPhones while Apple has apparently destined it for its iPad Pro successors. Does that mean you can also charge your iPhones faster using the new iPad Pro charger? To a certain extent the answer should be affirmative, though if you want the best fast-charging experience for your iPhone, you'd probably have to splurge for the 30W brick that costs $49. Our tests with the previous, 12W iPad charger, revealed that it tops up an iPhone much faster than the stock brick, and only a bit slower than the 30W one, so with the fresh 18W one that comes witht the new iPad Pro, you might save on that extra expenditure, too. All this time thought I had 12 watt chargers for my iPads but they’re actually 10 watt. Got a Anker 30 watt on the way. I have a 12 watt with my iPad. so how can we use the included headphone with Iphone with Ipad? Can we? Can we? Can we? Now watch, Samsung will copy and put USB-C on their tablets and faster charging. Pfft. Except that Samsung has both on their tablets already. damn samsung for copying apple on stuff thats already being implemented! I just charge my iPhone XS Max with my MacBook Pro charger lol.